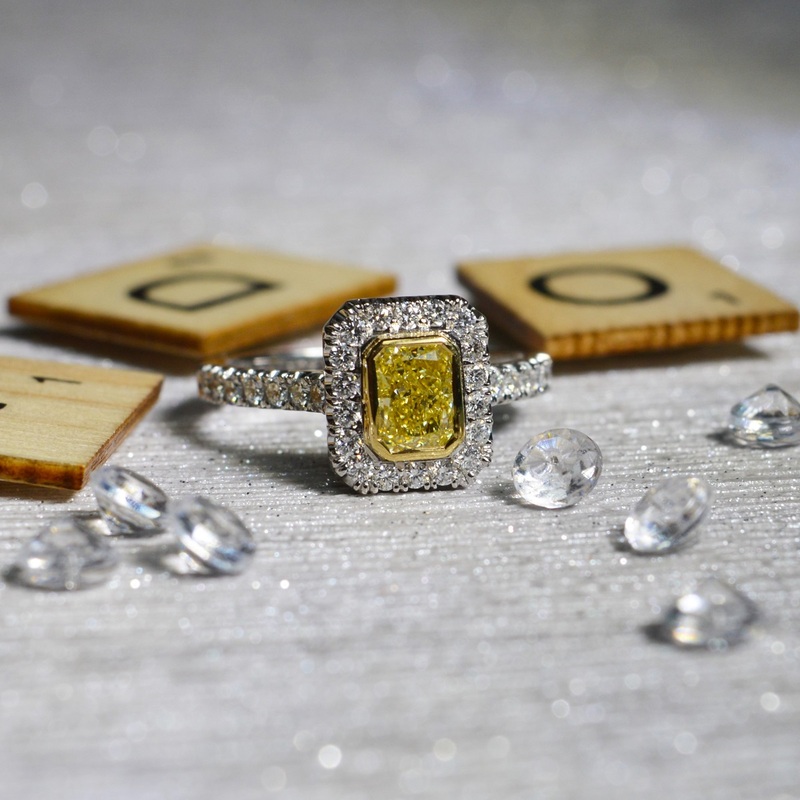 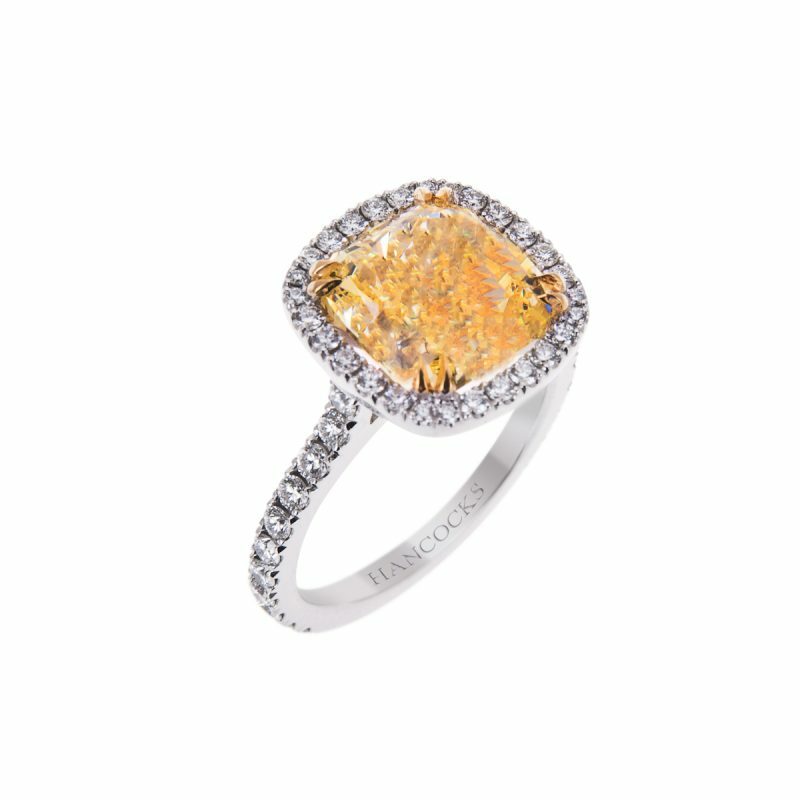 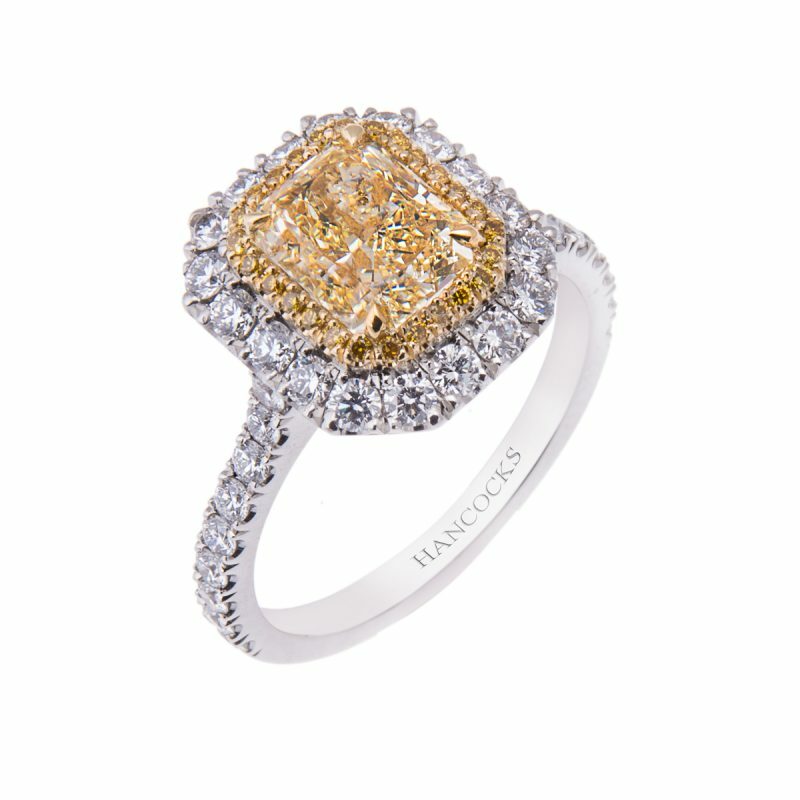 This sophisticated and elegant fancy yellow diamond cluster ring is a true compliment to its stylish wearer. 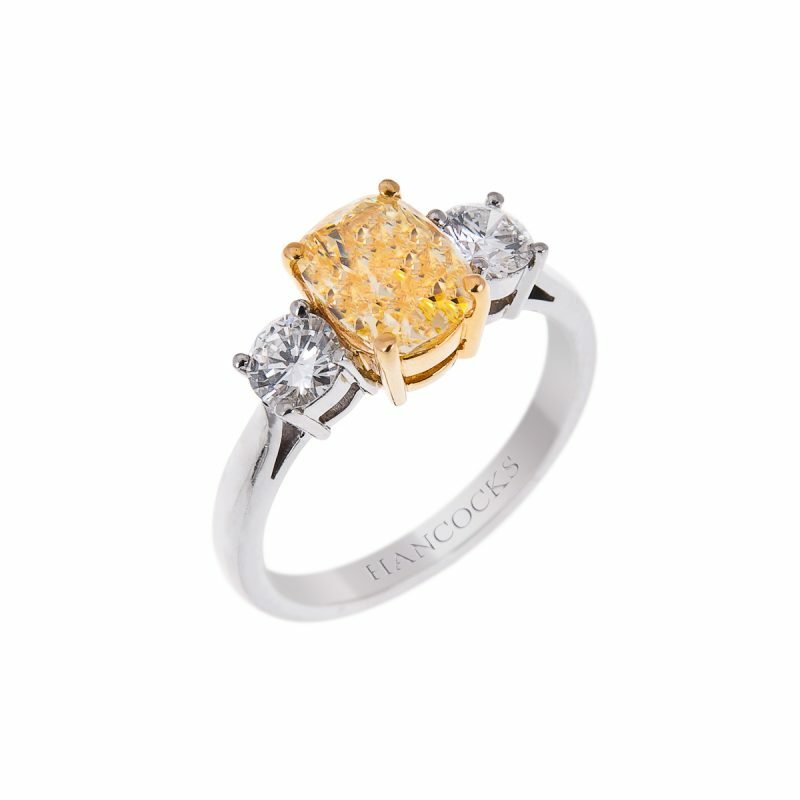 A natural fancy yellow radiant cut diamond, sparkles in contrast surrounded by a halo of brilliant cut diamonds with the same detailing following on down the shoulders. A mounted in a platinum handmade setting. 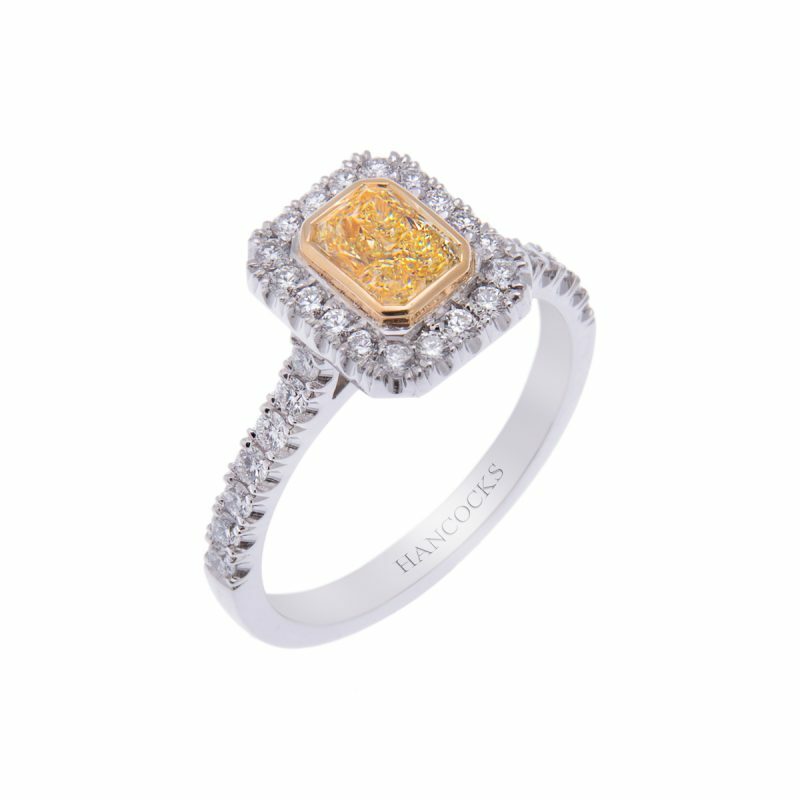 Truly a ring for someone who doesn’t wish to run with the pack.